It's not surprising that Hello Kitty is permanently embedded into fashion iconography; after all, how many people read her name and instantly imagine her chic little red bow? 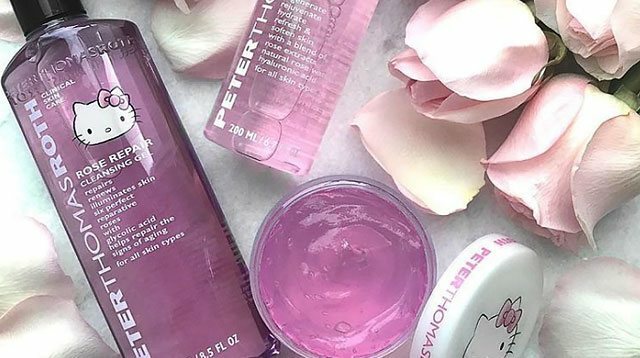 But now the popular mascot is embarking on quite possibly her cutest beauty adventure yet, in the form of a limited skincare line with boutique brand Peter Thomas Roth. 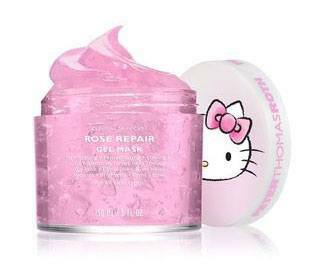 The brand's Hello Kitty collection contains three products: Hello Kitty Rose Repair Balancing Essence Water, Hello Kitty Rose Repair Cleansing Gel, and then the Hello Kitty Rose Repair Gel Mask. And while all three products are adorable, the rose essence face mask is extra adorable. Now, if you somehow read the entire post as "Hello Kitty Rosé," you're in luck, because that exists too. Whatever your Hello Kitty desires, there's something for every kind of fan of the adorable mascot.